devil | ISE-HAKUSAN DOU'S "THE UNIVERSE"
There is a village called Siromine（白峰） at the starting point of a trail up Mt. Hakusan（白山）, a spiritual mountain in Ishikawa prefecture. The village used to be called Ushi-kubi village, meaning “cow’s head village,” which has a deep meaning. The reason for the name is unknown though there is a theory that the village looked like the shape of the cow’s head. “Cow’s head” evokes Gozu-Tennou（牛頭天王）, Cow’s Headed King. Blue energy body of Susanoo（スサノオ） has been appearing in the form of various figures and supernatural beings in different ages of history. Especially, Heian period was the time the blue energy body was materialized to appear. “Cow’s head” suggests a demon. Demons with two horns did appear in those days. In Heian period and those before it, such human-like creatures were easy to appear. Taking a look at the horns using my spiritual power, I find that they are not long ones. They have round shapes, three to five centimeters at most in height. I feel the horns are due to the elevations of the skin. It seems that men, with their genes receiving a lot of energy of Susanoo, had horns on their heads. At present, such men, having inherited spiritual factor of Susanoo, don’t grow horns because the horns have fitted in the physical body genetically over a long period of time. Mt. Hakusan had been a tabooed mountain no one could approach before Taicho Daishi（泰澄大師） began to climb it about 1300 years ago. The villagers, inheriting the spiritual current of Susanoo, had protected the mountain as the hill folk. They prevented people from entering the mountain area, ranging from Ushi-kubi village to Gifu and Fukui areas. I feel that they had great endurance. I hear that the villagers can climb to the top of the mountain two times a day until they turn 60, and that there was a 90-year-old man last year who went up to and returned from the top of the mountain in a day. A lot of healthy, tough people live there. Several times a year, I see the Mt. Hakusan is shining in pale blue lit up by the sun in the distance. The mountain is still a sacred spiritual mountain protected by Susanoo and Haraedo Four Gods（祓戸四神）. It is on the land of Mt. Hakusan that the breath of God, who created the earth, first hit from Heaven. I Am Grateful for Being Kept Alive. Tsurugi shrine（劔神社）, whose main deity is Susanoo-no-oh-kami（素戔嗚大神）, is located at Echizen-chou of Nyu county in Fukui prefecture. His ancestors were administrators of manors in Oda region and his family was a prestigious one who had served Tsurugi shrine as shinto priests. It’s interesting that Nobunaga Oda（織田信長）was from a town at the foot of Mt. Hakusan（白山）. Taicho（泰澄）, the founder of Mt. Hakusan worship, was also from a nearby town. Taicho, a historical monk with a supernatural power, and Nobunaga Oda, a radical reformer, are related to Mt. Hakusan, a spiritual mountain. It’s not groundless that Nobunaga Oda called himself Dairoku-ten-maou（第六天魔王）, the Devil in the Sixth Heaven. I feel that the reason he called himself the Devil instead of Susanoo was because he knew by a divine oracle that his role in this world was one of a great reformer of Japan who couldn’t care less about massacres. He dared to call himself the Devil, playing the villain thoroughly. He also led himself to be murdered in the end so that the finale of the play could match with the role. There are many stories about the Devil in the Sixth Heaven. In the document of Heian period named Nakatomi-no-harai-kunge（中臣祓訓戒）, Amaterasu-o-ho-mi-kami （天照太御神）was regarded as Dainichi-nyorai（大日如来）and she was asked by the Devil to accept a bond that allowed her to rule Japan. That is, she had the bond that allowed her descendants, or the emperor, to rule Japan, issued from the Devil, who had owned Japan from time immemorial, and it was guaranteed. Also, in the document named Tsuukai-sankei-ki（通海参詣記）written around the late thirteenth century, it is described that when Izanagi and Izanami took over the land from the Devil in the Sixth Heaven so that they would create Japan, the Devil made it a condition that the two gods would hate Buddhism. I’m not sure if Nobunaga knew about this, but he made an attack on Mt. Hieizan（比叡山）, the head temple of Buddhism, and destroyed it. The Devil appearing in these tales can be interpreted as Gozu-tennou（牛頭天王）, Susanoo or Kunitokotachi-oh-kami（国常立太神）. Interestingly, all prehistoric rulers of Japan were described as the Devil. However, historical truths are often tampered with by the powers of the day. In this case, I feel that the true identity of the Devil, who had owned Japan from time immemorial and terrified people, is the sealed-up, hidden indigenous god, namely Hakusan-shin（白山神）, who brought all original gods together. Recently, many of the readers of this blog have asked me how they can leave the religious groups their parents belong to. To be sure, if they had become the member of their own will, it would be easy to leave it when they realize what they have done, but if their parents are involved in it, it would be difficult in many ways. It is sad for precious family relation to break up because of religion. I think it doesn’t need to be settled after arguing about it. It can be possible to stay away from the problem by saying “I’m busy with work,” “I’m working on my homework,” “I’m going out with my girlfriend” and so on. If you keep a distance, you will be able to see good points and bad points of the religion. Any religion leads to the Original God. But there is one condition. It is that you have to make efforts in such a way that your consciousness moves toward your inner world with the recognition that some religious teachings or some object of worship have already existed in your heart. Therefore, if the religious group or organization you belong to is the one that makes you dependent on what is outside of yourself, you can never reach the true Original God. In the heart of living human beings lies the way to the supreme god. If you assume that God is outside of yourself and try to be one with what is outside, you won’t find “the Blue Bird of Happiness” for ever. Going out to find it, you may find a great visionary castle where the blue bird seems to be, or see a country of confectionary, but they are all illusion. Even if you have such a faith for decades, you can get a sense of insecurity out of your mind. As long as you look outside of your heart, you’ll be manipulated by what is outside. What humans do often brings about obsession and illusion. Purposes of religious groups are apt to be replaced with the enlargement of the organizations and the collection of money. Behind the scenes, spirit groups who try to maintain the groups have arisen in the World of the Dead or the Devildom. As you practice holding memorial services for your ancestors with gratitude and remind yourself of gratitude to deities, you’ll come to awake because your spiritual dirt peels off. And then, going back home, you will be able to return to your true self. ※ To read past articles of this blog, see the following website, a revised edition of this blog, whose article is supposed to be published every other day. A Devil In Human Shape. The shotgun shooting incident in Sasebo（佐世保）has been broadcast on TV almost everyday. The murderer killed himself at a Christian church where he was baptized. I can feel behind the murderer an evil spiritual being leading to a superior perverting Christianity. The murderer was only possessed with an evil spirit belonging to part of the spirit of the lower class of Devildom. The chief of the evil spirit is in the US. This chief, perverting Christian fundamentalism, admits no god other than Christ and has been scheming to annihilate the believers of another religion by starting a war. Behind Iraq War is this spiritual being. The chief makes its devotees believe in the Christ’s image in which Christ writhes in agony crucified in order to brainwash them into obey Christ absolutely. This image implies what the devotees will be and the devil is imprinting on the devotees’ mind the declaration of the subjugation of the human race. Though there are a lot of interpretations by theologians about the image of the Crucification, they are all far fetched ideas. Seen from the point of view of an innocent child, the image is nothing more than a miserable image everyone has a sense of discomfort about. At present, this evil chief, who controls a new Christian cult group, has possessed a certain important American deeply. He is now over 80, but he is still one of the very men who have control over the US. His tenure of life as a human is already over, but he seems fine because the chief in Devildom is wearing a suit of human skin. When I look at him with my spiritual eyes, I can see that he is the owner behind the scene of a worldwide military industry, investment company, and natural resource development company, and is involved in a lot of major incidents like wars and conflicts. Interestingly enough, when he visited Japan ten-odd years ago, he was invited to an official banquet held by the Japanese government, where he sat next to the Emperor of Japan and no sooner had he put the food in his mouth than he felt unconscious and threw up what’s in his stomach there as if a devil were sprinkled with holy water. This footage was broadcast to the world only during the early period. It seems that various money markets have been badly hurt because of the subprime mortgage problem recently. Some European banks which invested in it went bankrupt or in danger, and the banks in the US also seem to have lost billions of dollars in a short time. However, among investment companies around the world, there was one financial company which had invested expecting the heavy fall in stock prices and earned a huge profit, whose owner behind the scene is the U.S. Treasury Secretary during the Bush administration. Most of the profit will go to the chief in the end. Postal savings of Japan has been targeted by several chiefs. We have to pay close attention to which Japanese politician will allow the money of the postal savings to be invested in the US. The first to pave the way was the Prime minister of Japan, Mr. Koizumi. The American chief is famous for being a pious Christian. And he and an Asian guru of a problematic Christian cult group, who has lived in New York before, are the best friends. This is terrible horizontal relationship. I can see the same kind of abhorrent spiritual being behind him as the chief ―a human-like beast with a black long tail. When I was writing this article using the real name today, a tremendous spiritual war was about to start between Devildom and the spiritual world behind me, so I stopped. I believe today’s article I was made to write is the herald of the spiritual conversion from night to day that begins on the 23, December in the year of 2007. The True Identity of A Fortuneteller Who Uses A Devil Servant. The fortuneteller asked many questions about Mr.B’s job and family doing fortune-telling. He told the fortuneteller that he had his own company, too. Then, the fortuneteller said to him “You’ve been possessed with a devil. And it was the devil that hindered many things.” Telling him that it takes some money to take out the devil, the fortuneteller began performing a ritual. The fortuneteller pushed an orange against Mr.B’s stomach and cast a spell. Then, saying that he succeeded in taking out the devil, he cut the orange by half before Mr.B. Mr. B saw a tiny devil, as seen in manga, lying in the orange hanging his head weakly. Mr.B was very surprised to see it. The fortuneteller put the devil back into the orange and put it on the floor and told Mr.B to step on it. The devil in the orange was gone. The fortuneteller charged him, who was stunned at the scene, about 16,000,000 yen, converted in yen. Surprised, Mr.B told him that he didn’t such a large amount of money and managed to bargain the charge down to hundreds of thousands of yen lol. He wrote out the check on the spot and was allowed to leave the place. Later he made the check ineffective before the pay date, so that the damage amount was zero. Be careful when you go abroad. This fortuneteller seems to have been able to materialize “a demon servant” at will. This is what those psychics can do who deal with spiritual beings of the World of the Dead, which is close to the World of Reality. Interestingly, psychics in Hong Kong, for example, who can materialize a demon servant show an imp no larger than a fingertip, while in New York, what the fortuneteller showed him was a western devil as seen in manga. This is because there is a difference of spiritual magnetism from country to country and the figure varies depending on the visual memory of in-depth consciousness of the person who sees it . Those present are seeing a spiritual body like smoke in fact, but they think they’re seeing some particular figure. A sorcerer like him who makes a devil servant do what he wants will have his soul eaten by the devil and its boss in the end. I heard news yesterday that an elementary school girl, when eating with her family at a restaurant, was stabbed on the head with a fork by a man next to her. From what I heard, the man said that he stabbed the girl because he felt he would be attacked by her. All human beings will have spirits possessing them appear on the surface in the days ahead. And it depends on each person whether a divine spirit will come out or a spirit from hell. Now is the age if you hold memorial services for your ancestors with gratitude in the right way, it becomes easy for your ancestral spirits to protect you. It is only descendants who can take care of their parents and ancestral spirits. If you leave the memorial service to others, your money is just squeezed out of you and the service will have no effect on your ancestral spirits. Where weird phenomena are sold is full of danger. Anyone who, unfortunately, has visited a religious cult, a pay psychic, or a pay spiritual healer knows something in common. They know that there are some places where various kinds of extraordinary weird phenomena take place, like a man in the place begins to speak incomprehensible words abruptly or dance shaking his body, or a spirit possessing a man comes out and begins to complain with his mouth. Both the eventologist and the visitors are pleased to see such a phenomenon thinking wrongly that such weird phenomena are caused because they have true spiritual power. The eventologist alleges that he can heal and save the spirit and make the visitor happy because he could make the spirit appear on the surface. This is a very dangerous condition and phenomenon they don’t understand anything about. Spiritually speaking, where this kind of weird phenomena take place or the eventologist tricks money out of the visitors in exchange for the phenomenon is a very dangerous and filthy place leading to Devildom. Many of the visitors are moved by its curiosity and believe this is a good thing. A man protected by his steadfast ancestral spirits, seeing such a weird place, would have a strong feeling of wrongness and leave the place right away, while those who have various worries are attracted to such a place. Once they’ve got involved with such a place, true spiritual problems or troubles will befall them, so that they will have to visit the place repeatedly.Though most visitors to such a place don’t have any spiritual trouble in fact, they are made into a repeater who are willing to pay a lot of money because they’ve got spiritual dirt and a relation with the eventologist. It is surprising that there are a lot of eventologists who hold such meetings leading to Devildom even in the present age. Now is the last moments of the World of the Dead and Devildom. In exchange for money, they have been preventing people from awakening of their Inner God and becoming independent by binding them to a false outer god. Seeing unfortunate things befall him and those around him, the visitor, however dull he is, comes to realize that something is wrong, for by looking back, he can understand that though there was some ostensible improvement temporarily, his surroundings have been getting worse gradually. 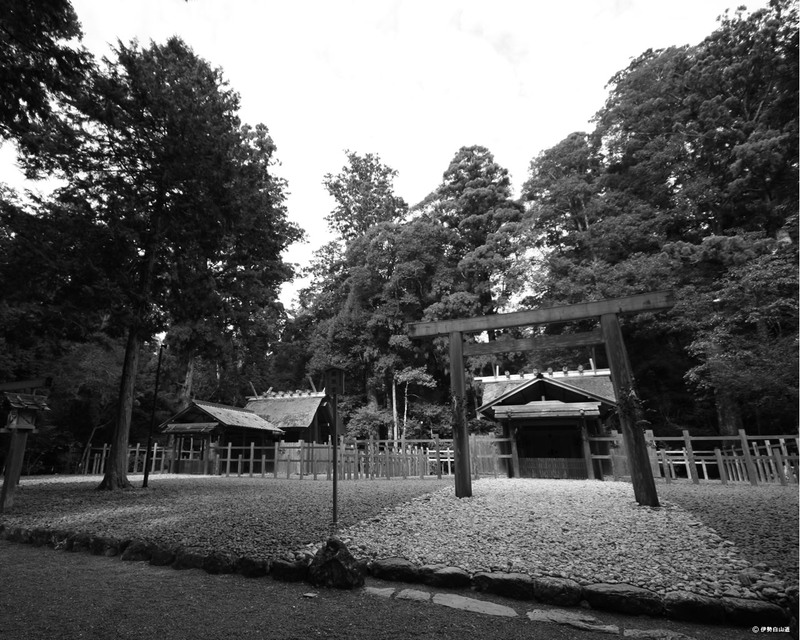 Shinto priests of orthodox shinto shrines would abhor such weird phenomena taking place. It has been validated repeatedly for the last 100 years that weird behavior caused by possession brings a group or an individual unfortunate results. There was a famous religious man in the past who had achieved a state of Kannagara（カンナガラ）, a state of mind of living always with God. And those who did such weird behavior would stop behaving like that as soon as they stood in front of him. No weird phenomenon happens before a righteous man.To touch his aura would make anything evil disappear and wandering spirits come to themselves. This is the right kind of spiritual power. So it is important for us to pay attention to our Inner God and carry on memorial services for our ancestral spirits with gratitude. There are good times and bad times in the course of our lives. To go through a life working honestly will leads you to True God. Pay spiritual healers who have worked long time tend to have some problems with their physical body. It often happens that when a client visits a spiritual healer with expectation, the client is surprised to see the weird appearance and behavior of the healer. As is often the case with such a spiritual healer as has become too weak to appear before a client, the healer is likely to begin to advertise “remote healing,” in which the healer doesn’t have to show up. Because such spiritual healers hurt their own soul and spiritual body in exchange for money and confine their Inner God by telling lies, actual problems are sure to appear on their physical body gradually. Though they might have some reason to do the business, like they cannot earn enough from a decent job, or cannot get a job anymore, I feel sorry for their karma of their having chosen to do such a sinful deed which exploits the unfortunate. Thinking such healers have also their parents who gave birth to them, I hope they will realize what they are doing while they are alive.